. 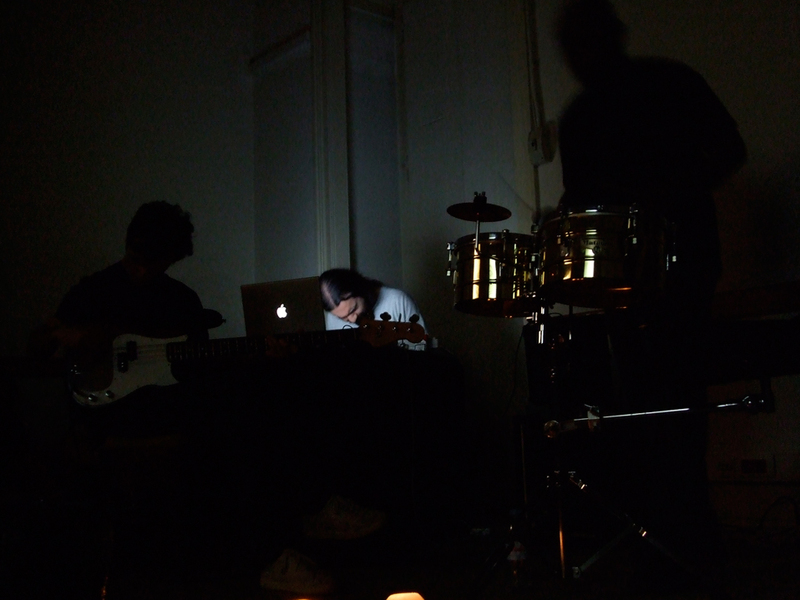 : Poetronica 2019 - Noise Room Series - Helikoosolek Series - World Music Days Festival 2019 :. I am thrilled to announce that I will be doing an eastern European tour in Russia and Estonia, specifically in the following cities: Moscow, Saint Petersburg, Tartu and Tallinn, from April 19th to May 5th 2019, playing five concerts. 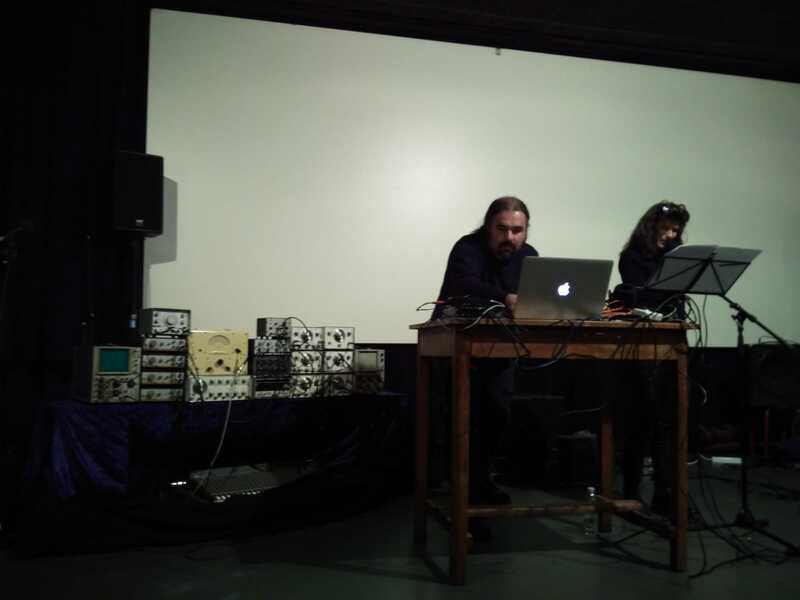 The first concert results from an invitation to play and give a short lecture about my work / soundscape composition at the 11th edition of POETRONICA 2019, a festival featuring a synthesis of sound art, video art, and contemporary poetry. This festival will take place at the National Centre for Contemporary Art / ROSIZO State Museum and Exhibition Centre, in Moscow. The NCCA is the leading Russian state institution specializing in the issues of contemporary art. The activity of the Centre evolves in close cooperation with artists and independent experts in the sphere of contemporary art, art culture and various organizations, such as museums, research institutions, public organizations, both in Russia, and abroad. On the 20th I will participate in a collective collaboration concert with artists featured in POETRONICA program, such as: Alex Pleninger, Pavel Zhagun, Alexander Skidan, Ekaterina Zaharkiv, Nina Alexandrova, Sergey Sdobnov, Gala Pushksrenko, Danila Davidov, etc. 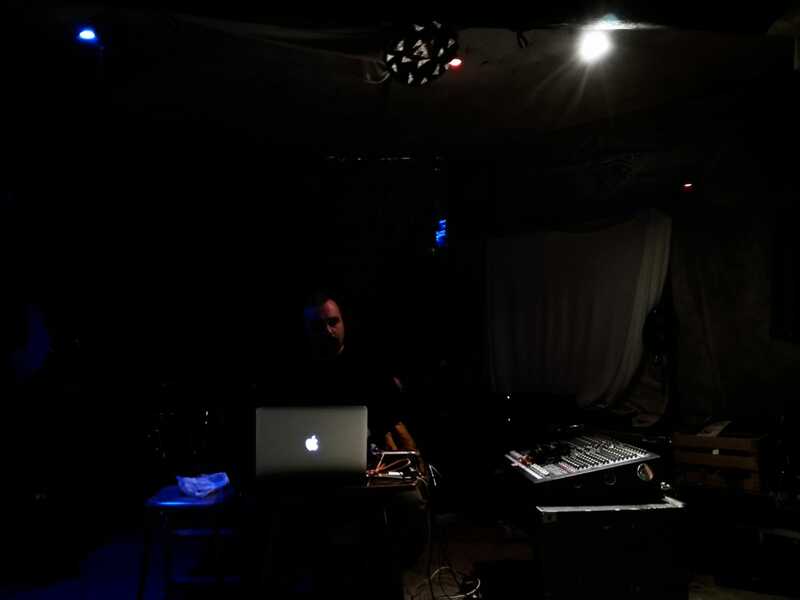 The third concert will be a solo performance at the Sound Museum, in Saint Petersburg, on 26th April 2019, at the Noiseroom concert series of experimental music events. The fourth concert will happen in Tartu, on May 1st, at Helikoosolek series, where I will also give short lecture about my work. Where: NCCA - National Centre for Contemporary Art | Zoologicheskaya Ulitsa, 13, стр. 2, Moscow, Russia. Where: Ligovsky Ave, 53, Sankt-Peterburg, Russia. Where: Estonian Public Broadcasting, Studio 1, Kreutzwaldi 14, Tallinn, Estonia. I am very glad to announce that my 2017 acousmatic piece "Obsidia - of the invisible sounds or of the audible images", which was a commission from the Música Viva 2017 Festival, and that integrated the application of the Portuguese section of the ISCM - International Society for Contemporary Music, was selected to be performed at ISCM's World Music Days 2019 Festival, which will take place from May 2 – 10 in Tallinn and Tartu, Estonia. Estonian Composers’ Union received over 500 submissions in total, of which 99 works were selected for performance. Portugal will be also represented by 2 other pieces from composers Clotilde Rosa and Hugo Vasco Reis. My piece will be performed on May 5th 2019 at the Estonian Public Broadcasting, Studio 1, in Kreutzwaldi 14, Tallinn. 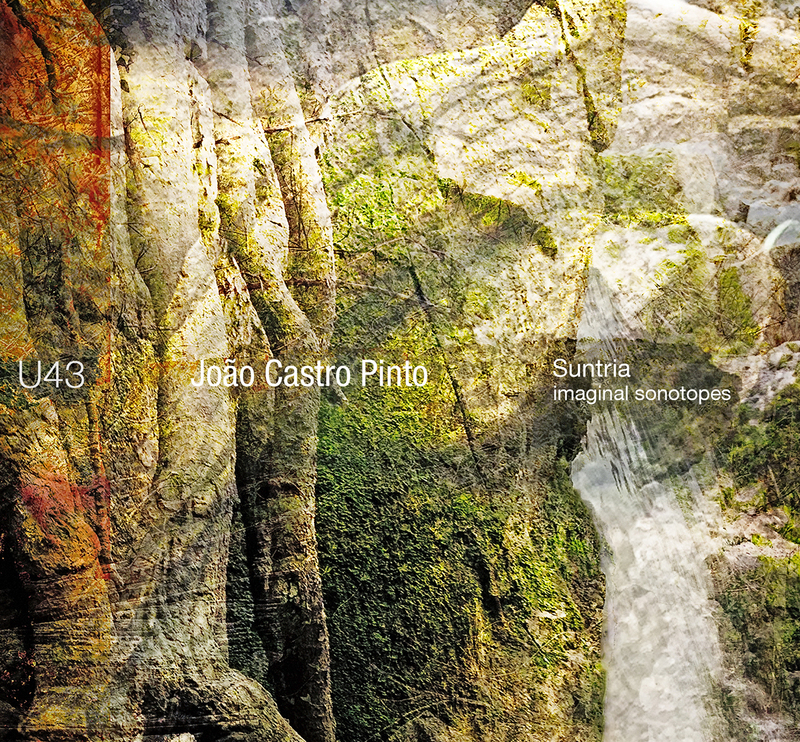 It is in consonance with the celebratory motto of the 20 years of his trajectory in experimental music that João Castro Pinto proposes to interpret, through Miso Music’s Portugal Loudspeakers Orchestra, "SUNTRIA - imaginal sonotopes", a soundscape composition focused on the soundscape of Sintra’s mountains (Sintra-Cascais Natural Park), released in 2017 by Unfathomless, which will have its absolute premiere at this concert. I will present, in collaboration with the researcher and performer Sofia A. Carvalho, the project SPECTRUM EXTENSO, a performance of electroacoustic poetry centered on the work of the poet Teixeira de Pascoaes. The presentation will take place within the context of the annual initiative, organized by the Swiss cultural association Makaronic, entitled: pem # 9 - poésies en mouvement # 9, this time marked by the theme: réflexion / s. This initiative will include presentations by other international artists. Where: Cinéma Spoutnik _ http://spoutnik.info | 11 Rue de la Coulouvrenière, 1er étage, 1204 Genève, Switzerland. My soundscape composition "Water-dreamt-by-forest" will integrate, along side composers as Nikos Stavropoulos, Marie-Jeanne Wyckmans, etc. the second concert of this symposium, an event that will gather experts and practitioners from different fields and discuss different concepts of culture and their relations to environment, sustainability, ecology and other topics. I will be the featured composer at the 16th of November emission of Antena 2's Música Hoje radio program new cycle entitled: "In the 1st Person". 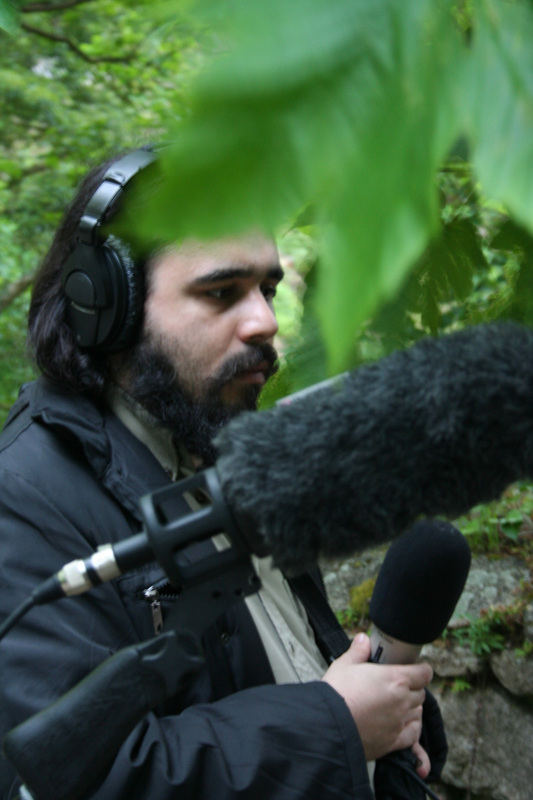 In this program Portuguese composers dedicated to experimental sound art are interviewed, revealing to the public several aspects of their creative universe - from the issues linked to the aesthetic and compositional / musical technique, passing through reflections of philosophical or even political nature, to the most practical subjects that pertain to their daily life. 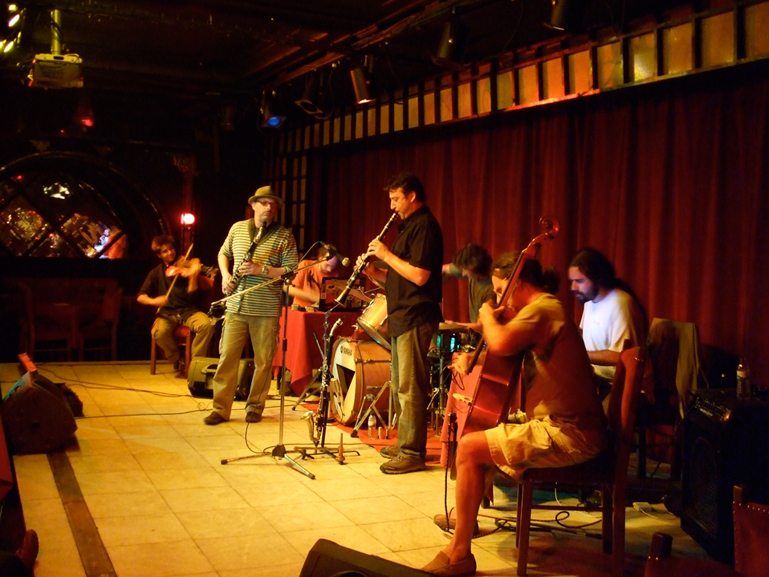 Several pivotal musical pieces composed by João Castro Pinto will be aired. You can now listen to the podcast, check the link below. solo concert (laptop + midi control) @ Kék Ló - Budapest _ Hungary _14.11.2018. 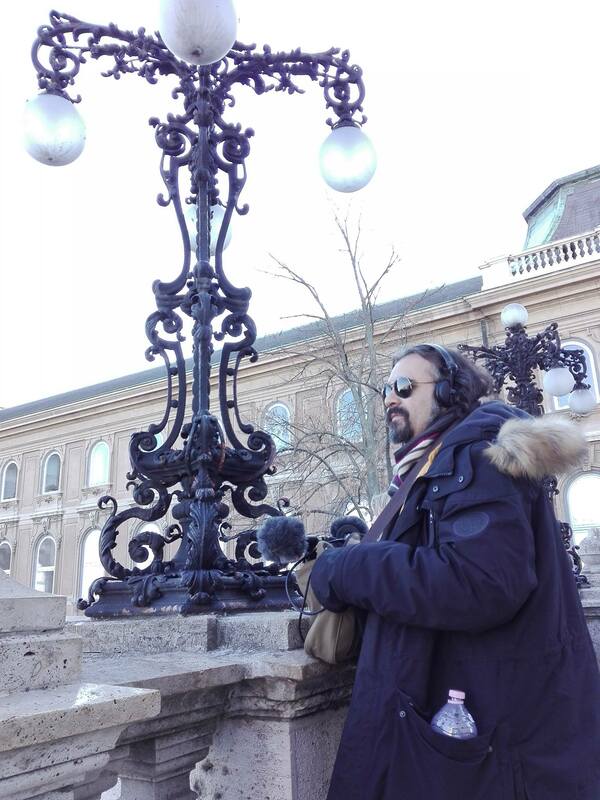 I will be doing a soundscape composition approach concert at Kék_Ló, (Blue Horse) venue, in Budapest, Hungary. 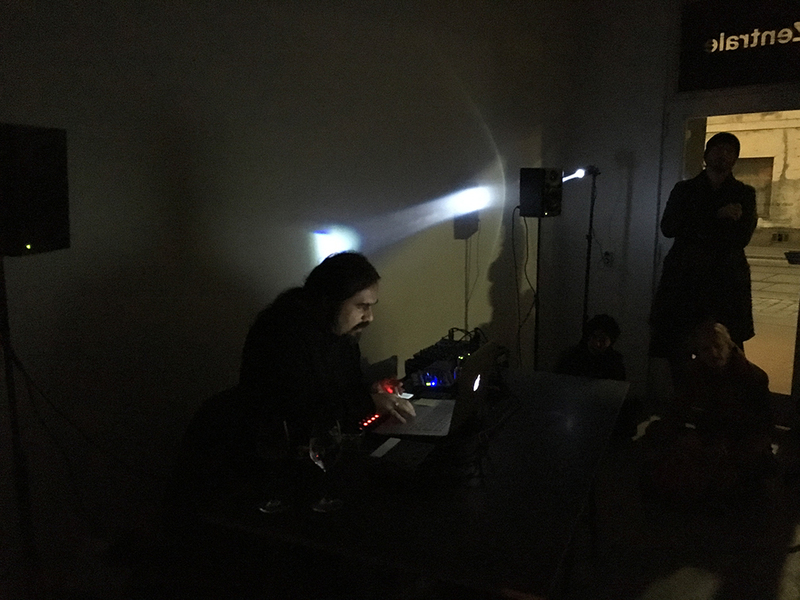 For this solo performance, João will use as main sound sources field recordings from his album, released last year on Unfathomless, Suntria - imaginal sonotopes. Glad to announce that SUNTRIA - imaginal sonotopes [IV-VI-X-XII] was featured on the 659_edition, of the FRAMEWORK RADIO show on 28.10.2018. In order to listen to the radio show, go to the mixcloud. Suntria - Imaginal Sonotopes I-IV, will be featured on DME Festival @ MUSLAB 2018, in Mexico city. The piece will be played in a program along with other Portuguese composers, such as: António Ferreira, Miguel Azguime, João Pedro Oliveira and Jaime Reis. The concert will be at Jardin Sonoro del Bosque de Chapultepec, on August 4th, at 13:00. My latest solo album released, on October 7th 2017, by MISO RECORDS, entitled ESOFONIA - acousmatic works 1999-2017, will be the focus of the 100th edition of Miguel Azguime's MÚSICA HOJE radioshow. Tune in to hear several complete electroacoustic pieces! I gladly announce that I am participating in the 55th edition of DME_-_Electroacoustic Music_Days_Festival, in Lisboa Portugal. I have five field recordings integrated in the audivisual permanent installation. On Saturday, October 28th, I will spatialize an edited version of my soudscape piece "Catachresis", and, finally on the same day, I will give a talk / conference about soundscape composition. *2 Autonomous and Metropolitan University of Mexico, Unidad Xochimilco _ Where:: Calzada del Hueso 1100, Col. Villa Quietud, Delegación Coyoacán, 04930 Mexico City, Mexico. "ESOFONIA - obras acusmáticas 1999-2017", will be released next Saturday, October 7th, by Portuguese label MISO_RECORDS. 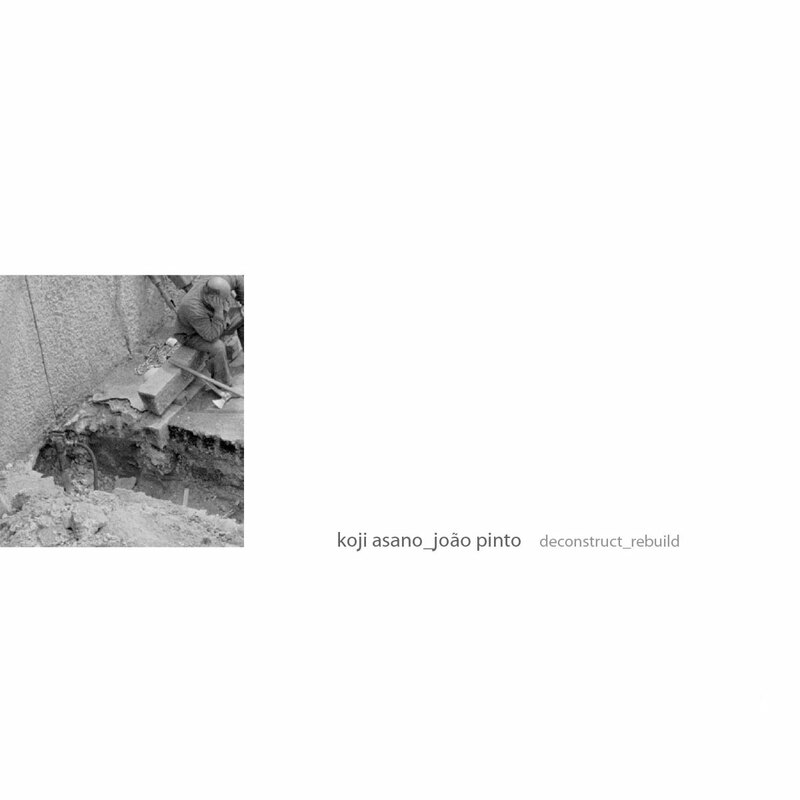 I will spatialize 6 pieces throught MISO MUSIC's Louspeaker Orchestra , check the program HERE. 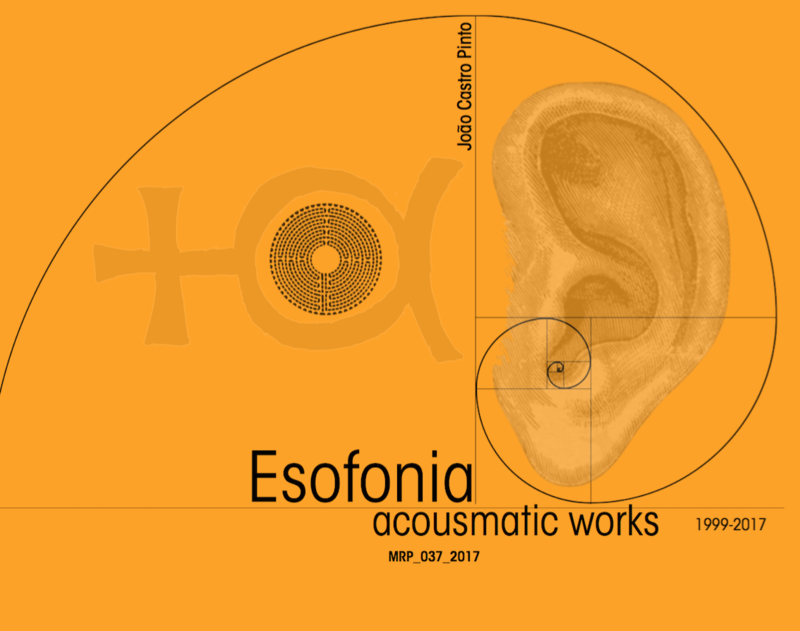 Esofonia is an anthology of acousmatic pieces that illustrates part of the musical journey of João Castro Pinto (from 1999 to 2017). The album is in a professional inviolable USB memory card. What: Release Concert of "ESOFONIA - obras acusmáticas 1999-2017" @ O'Culto da Ajuda. Where: O'Culto da Ajuda | Travessa das Zebras n.º 35, Belém, Lisboa _ Portugal. "Suntria - imaginal sonotopes", will be released next Friday, May 26th, by Belgian label Unfathomless. It is now available for pre-order. The album is a soundscape composition focused on the landscapes of Serra de Sintra (in Portugal), released in a limited edition CD (200 hand numbered copies) with beautiful treated images, including an extra art card. I am also happy to share that, the direction of 23rd edition of Música Viva Festival 2017, commissioned me a new acousmatic piece, which will have its absolute premiere on the same day of the release of Suntria - imaginal sonotopes. Hence, the spatialization of my new acousmatic piece entitled Obsidia - dos sons invisíveis ou das imagens audíveis, will mark the celebration of both the new acousmatic piece and the release of Suntria - imaginal sonotopes. I will spatialize "RUGITUS" at the 51st edition of DME Festival at Conservatório de Música De Seia. This will be my last performance in 2016. The event will occur from 27th to the 230th of December and my concert is programmed for the 28th of December at 16:00. It is time to announce another short tour to Austria, during the end of October and beginning of November 2016!!! I am thrilled to announce that I was invited to play on the 29th edition of the historical WIEN MODERN festival. During one month, from October 30th until November 30th 2016, WIEN MODERN will present 88 concerts of the world's best contemporary music. 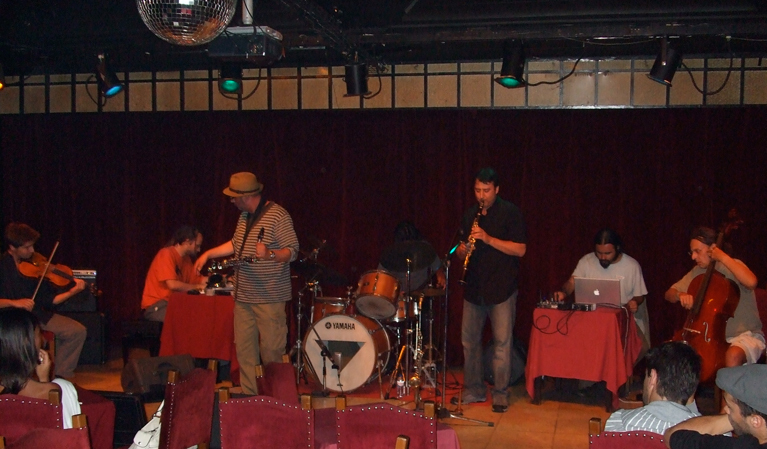 I will integrate an electroacoustic improvisation duo with composer, conductor & saxophonist Michael Fischer. The World Premiere of RUGITUS v0.1 at the 22nd edition of Música Viva 2016 20-28th May 2016. During the 8th concert of the 22nd edition of Música Viva 2016, I will spatialize my newest electroacoustic piece entitled RUGITUS v0.1. May 27th of 2016, Lisboa / Portugal. "PAREIDOLIA, or of the dreamt gardens", my latest 8 channels electroacoustic piece, will be spatialized within the program of the MUSLAB 2015 - International Exhibition of Electroacoustic Music, which is taking place in four countries: Mexico, Argentina, Brazil and France, and in nine different cities, in a total of 20 concerts, organized by the Mexican Association CaminArt. My piece will be played at Centro Cultural Recoleta - Laboratorio de Investigación y Producción Musical in Buenos Aires, Argentina, on November 5th at 18:00. I am glad to announce the international premiere of "PAREIDOLIA, or of the dreamt gardens", my latest 8 channels electroacoustic piece, that will be spatialized within the program of the 30th concert of the 41st International Computer Music Conference 2015, with the theme "Looking Back, Looking Forward". The conference is happening at the University of North Texas, Denton, USA, from September 25th to October 1st, 2015. My piece will be played at the Lyric Theatre, on October 1st 2015, within the programme of the 30th concert of the conference alongside pieces of Annette Vande Gorne and other composers. I will do a solo concert at the Electronic Geographies Festival 2015, in Lisboa, on saturday the 28th of March 2015 at 21:30. This will be the occasion for the national premiere of "Interspersed Memories - on strings, murmurs and gongs", a piece that had its world premiere at the 19th Seoul International Computer Music Festival 2012 (Seoul - South Korea) and the absolute premiere of a remix of "Athanor", a piece composed in 2006. The Portuguese representation in this festival also includes a work from the composer Ângela Ponte. I will do a solo concert at the 20th edition of Música Viva Festival 2014, in Lisboa, on saturday the 29th of November 2014 at 21:30. In this concert I will have the opportunity to spatialize 3 recent tape music pieces through the Loudspeakers Orchestra, an array of speakers specially idealized and indicated for the sound projection of tape music pieces. I will participate on the 1st SYMPOSIUM OF ACOUSTIC ECOLOGY @ UNIVERSITY OF KENT, England, with a paper on soundscape composition. Catachresis, a soundscape piece composed and released in 2012 (Triple Bath _ more info), will be played at this symposium within the installations program. Where: niversity of Kent, Medway Campus, Kent ME4 4TZ, England, U.K. I gladly announce that I am currently composer in residence at LEC - LABORATORY OF ELECTROACOUSTIC CREATION @ MISO MUSIC PORTUGAL. 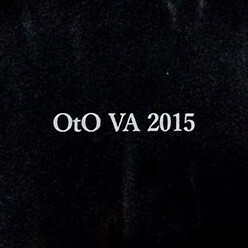 I gladly announce the release of my latest solo album - ARS ABSCONDITA - by Japanese label OtO. ARS ABSCONDITA is released on the context of my performance @ the Portuguese National Pantheon, within a Deep Listening Concert Series. I was invited to play at the deep listening series concerts at the Portuguese National Pantheon, where I will present my latest piece entitled SEPTUA - the 7th Part of 1. This piece is based on field recordings captured in Lisboa, Vienna, Bratislava and Seul and instrumental sounds: tibetan singing bowls, santur, hindu chimes, piano strings and harmonium. where: Panteão Nacional - Campo de Santa Clara, 1000-471 Lisboa, PORTUGAL. I am glad to announce that I was invited to collaborate with, Berlin based, Swedish sound artist / performer Hanna Hartman and also Portuguese artists: Henrique Fernandes, João Ricardo and Filipe Silva, for a workshop at Casa da Música (Porto - Portugal) and a collaboration performance @ the 10th edition of SERRALVES EM FESTA 2013 (more than 220 events, 40 hours non stop, from 8:00 am - June 8th - to 00:00, June 9th). The workshop is about working with amplified objects and close up listening, and the performance will consist on the results of the workshop. 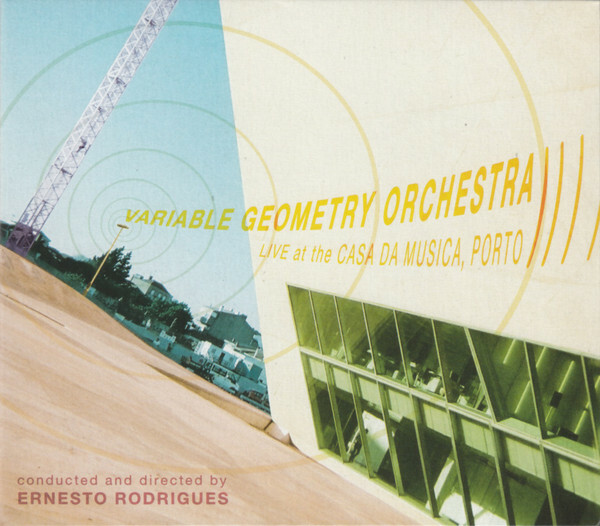 09.06.2013 - 15:00 @ CASA DE SERRALVES. I am off for a blitz tour in Austria, England and Czech Republic, doing some collaborations with Michael Fischer (Sax, AT), solo concerts and field recordings. 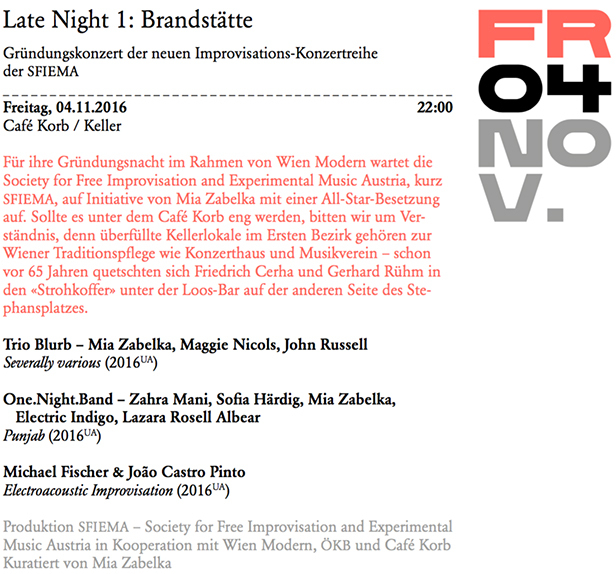 1st- ALTE SCHMIEDE KUNSTVEREIN WIEN - electroacoustic duo with composer and sax player Michael Fischer (AT) | 17.05.2013 _ Vienna / Austria. 2nd- SOUNDkitchen series #3 - solo laptop improvisation using field recordings collected during my recent tours to England, Austria and South Korea | 23.05.2013 _ Birmingham / England. 3rd- OSTINATO FESTIVAL - electroacoustic duo with composer and sax player Michael Fischer (AT) | 28.05.2013 _ České Budějovice / Czech Republic. The EMILLE - Journal of the Korean Electro-Acoustic Music Society, Volume 10, has just been published. My paper "What is a Soundscape Composition" - towards a paradigmatic definition - is featured in this edition. For more info on the Journal click on the link above. I gladly announce that I was invited by the School of Film, Music & Performing Arts of the Faculty of Art, Environment & Technology of LEEDS METROPOLITAN UNIVERSITY to be a Composer in Residence, at its Electronic Music Recording Studios. I will give guest lectures, focusing on my work, and also addressing to Soundscape Composition & Electroacoustic / Acousmatic Music theories and practices. Where: Leeds Metropolitan University, Leeds, West Yorkshire | Folkstone, Kent _ England / United Kingdom. 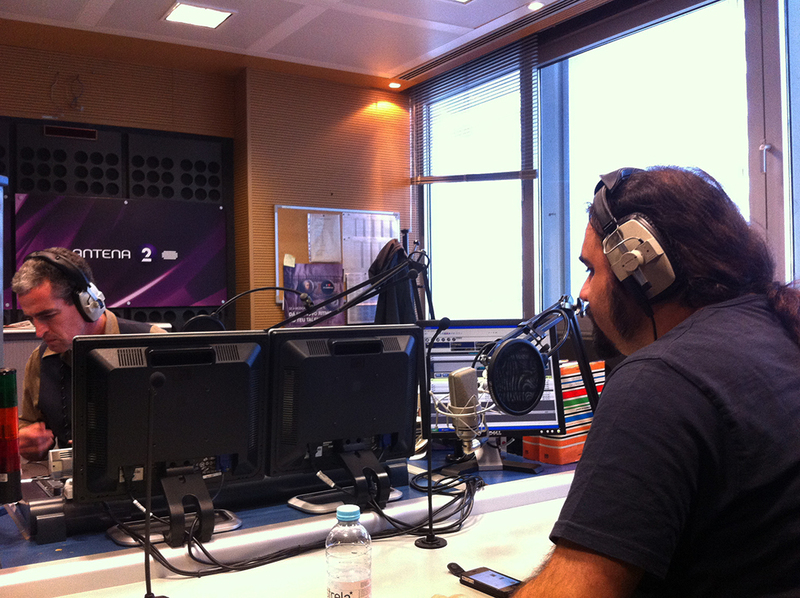 I was invited by MISO MUSIC's RDP Antena 2 : "ELECTROACOUSTIC ART", the only Portuguese FM radio program extensively focused on contemporary electroacoustic music, for an interview about my work. I gladly announce the official release of my latest work: PANAURAL - interspersed soundwalks and soundscapes, by Athens based Triple Bath label. 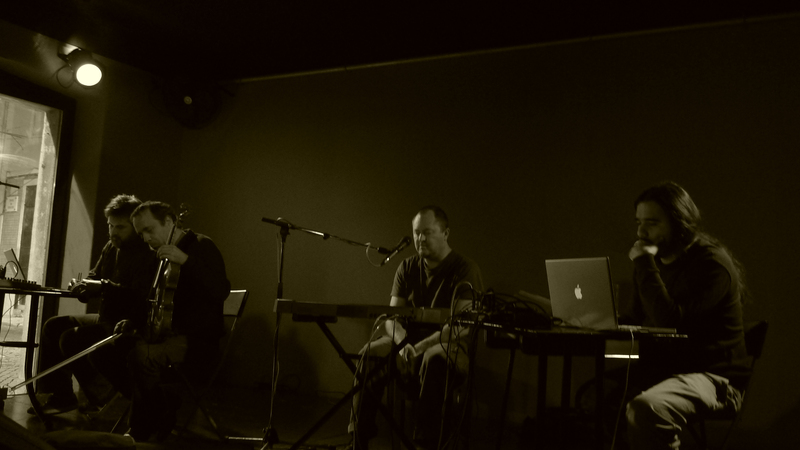 The national release concert event happened at Flausina Gallery in Lisboa, Sat. 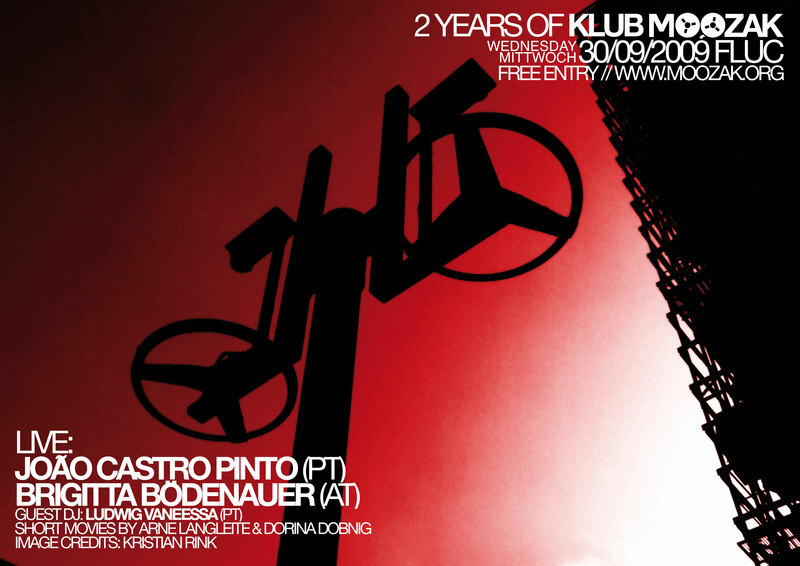 09.06.2012, 22:00. 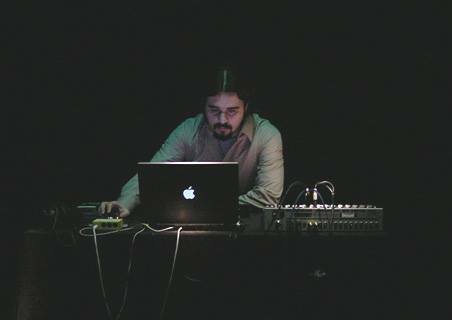 João Castro Pinto is a Portuguese artist interested in the art of composing silence with sounds. 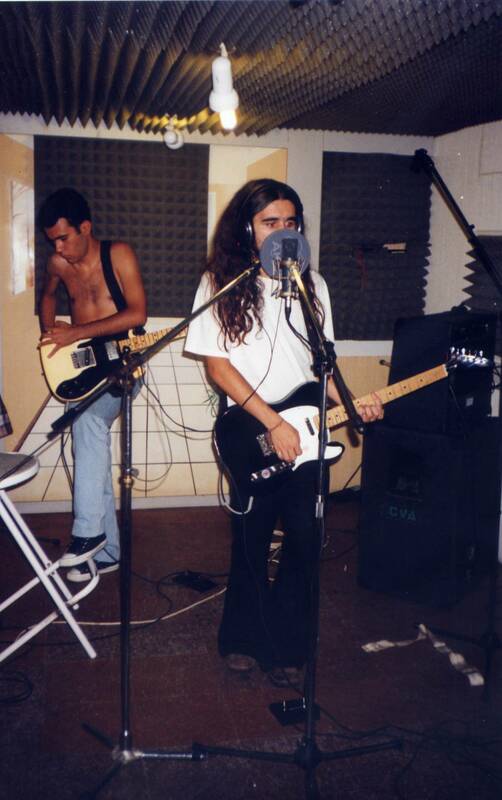 After playing (mostly guitar) with several independent rock bands, in the beginning of the 90's, João Castro Pinto started his creative activity as a sound and intermedia artist in second half of the 90's. 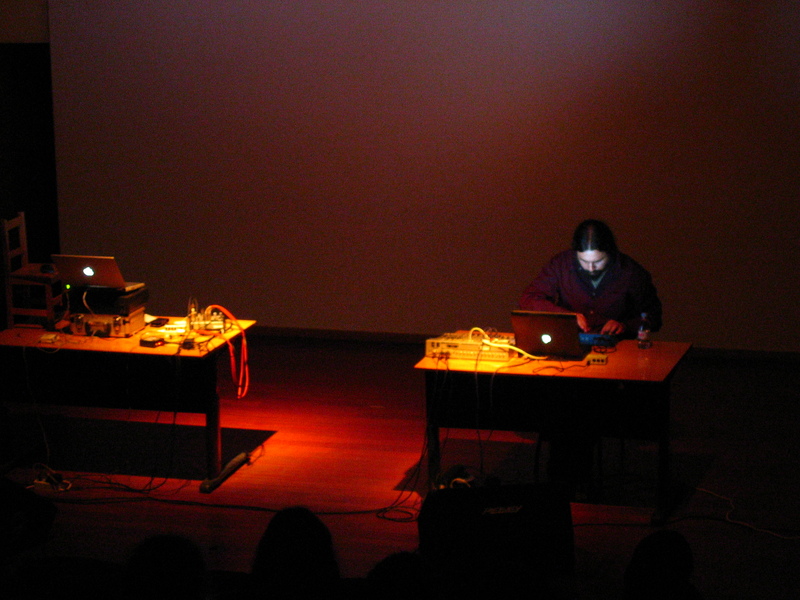 The main output of his artistic production comprehends the domains of sound art, experimental electroacoustic / tape music and intermedia research, in a trans-disciplinary perspective of confrontation, concerning the new digital media. 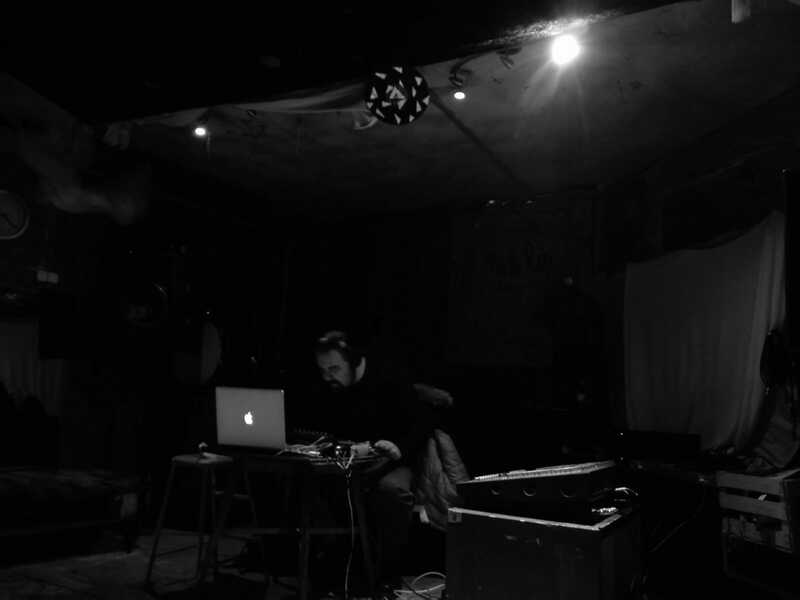 His sound work ranges between: soundscape composition, radio art, dense droning, noise, electroacoustic, acousmatic, tape music and experimental electronic genres. 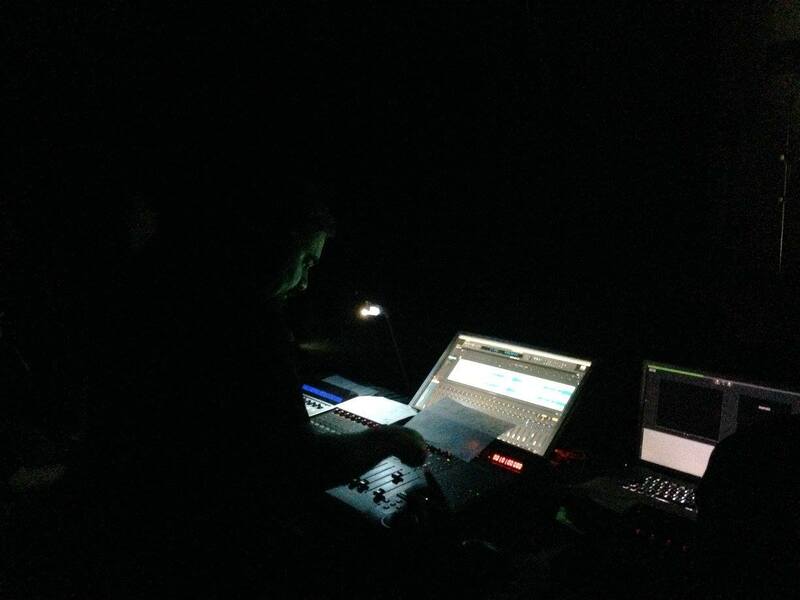 He plays live electroacoustic music, with and without instrumentalists, as tape music / spatialization concerts. 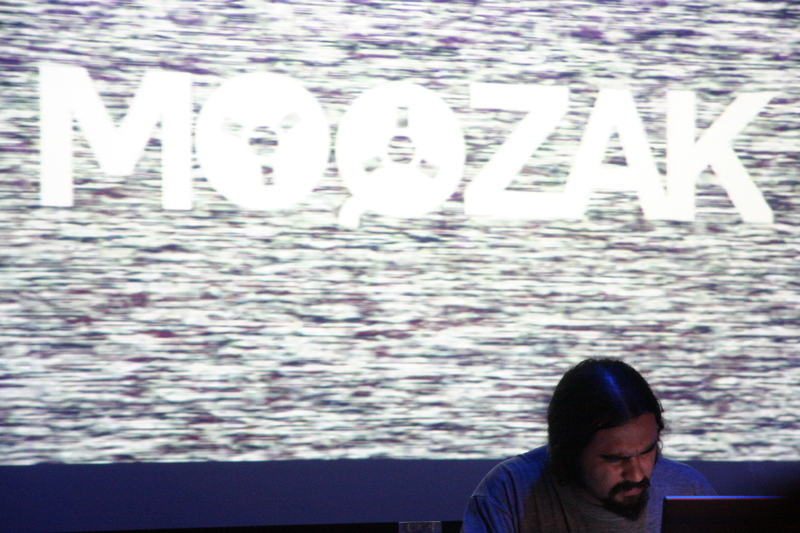 Since 2002 he's been the artistic director and producer of the "Hertzoscópio - Experimental & Transdisciplinary Arts Festival" and the "Hertz_extend#1", both dedicated to the divulgation of contemporary experimental music, video-art and intermedia. His academic path is reflected on his works as it also indicates which are the main artistic perspectives and ideas of his interest. 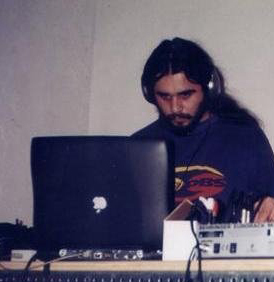 He graduated in Philosophy from the New University of Lisbon and is currently finishing his Ph.D. dissertation in Computer Music @ U.C.P. / C.I.T.A.R. - Research Centre for Science and Technology of the Arts. 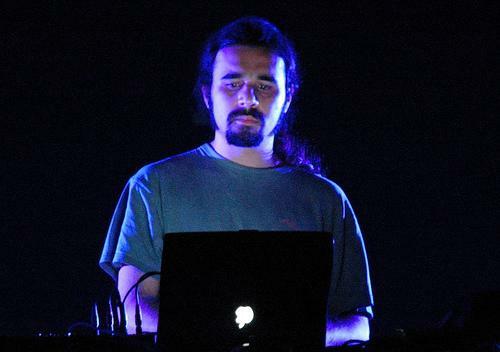 João's fundamental artistic intent resides on the exploration and recreation of natural sound and visual elements that are abducted from their original context trough digital recording technologies, and then recreated in another context and space-time that intends to create a deep inner experience. 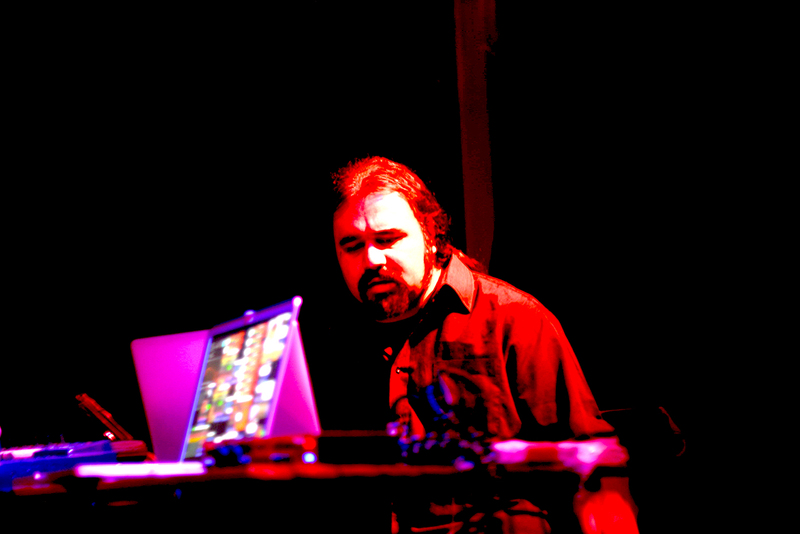 The common denominator of the artistic goals of the pieces that he has presented thus far focus on the intention of creating an intense sonic experience that provokes in the audience something similar to an existential glimpse that portrays the imperative need of searching for a way to access the ultimate inner-space, which is both intimate and trans-personal. The symbolic and plastic research operated by J. Castro Pinto to achieve the referred goal, has a means to a different end than the research itself. At stake is a true medium that materializes itself in a modus operandi of distension that operates by serving as the deconstruction of the mechanical automatisms that, on a daily basis, constrict and subjugate the existential human point of view, by which, phenomenally, remain immobile and underdeveloped the operative processes of the perceptive consciousness and the conditions of possibility to access the inner-space. 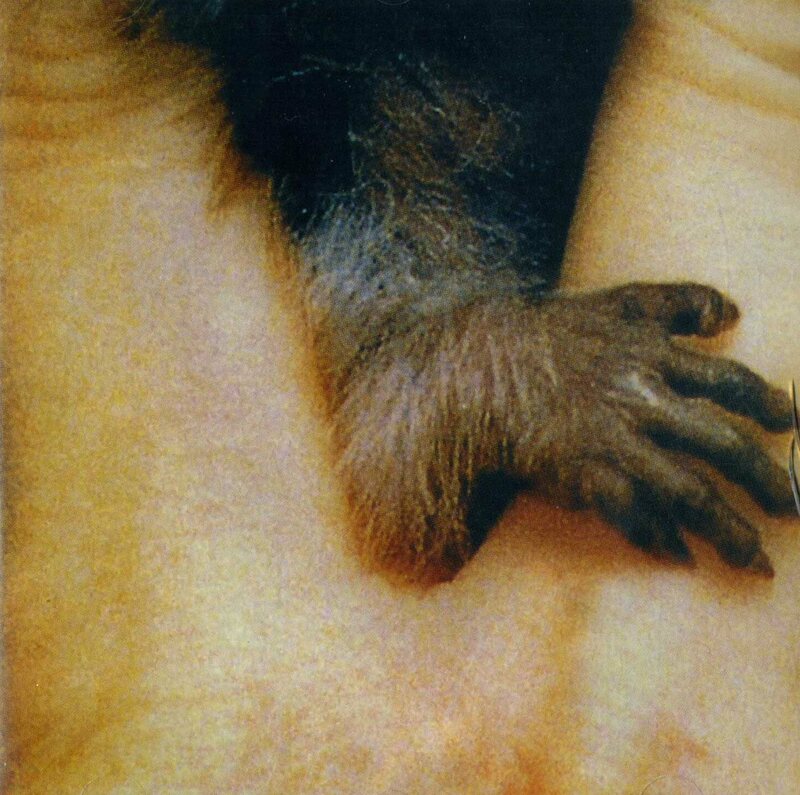 The path of the artistic experience that leads to the discovery and conquer of this inner-space (or that leads to the immersion in it), constitutes the center of the experimental & trans-disciplinary researches, practices/concerns of João Castro Pinto. João Castro Pinto is a composer released and proudly endorsed by MISO MUSIC PORTUGAL's - MIC.PT (Portuguese Music Research & Information Centre) & MISO RECORDS. 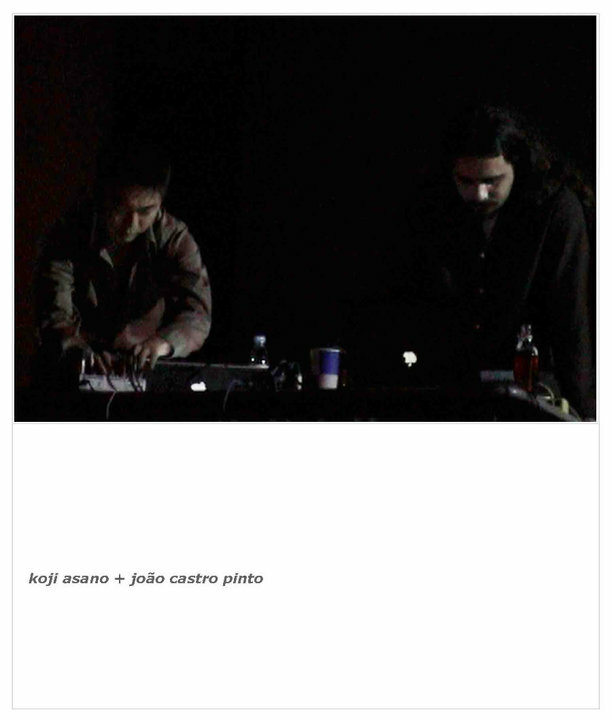 João Castro Pinto collaborates, and frequently plays, with renowned Portuguese and foreign artists from the sound art / experimental and improv. music scenes such as: Hanna Hartman (SE), Tom Hamilton (USA), Karlheinz Essl (AT), Koji Asano (JP), Bernhard Loibner (AT), Michael Fischer (AT), Vienna Improvisers Orchestra (AT), Jorge Sánchez-Chiong (VE), Boris Hauf (AT), Clemens Hausch (AT), Philippe Lamy (FR), Gilles Aubry (CH), Thollem Mcdonas (USA), O.Blaat (JP), Nathan Fuhr (USA), Sei Miguel (PT), Carlos Zíngaro (PT), Rafael Toral (PT), Coti (GR. 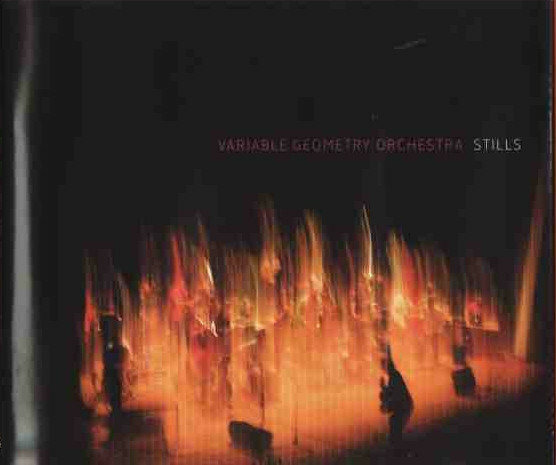 ), D’Incise (CH), John Grzinich (EE), Variable Geometry Orchestra (PT), Ernesto Rodrigues (PT), Manuel Mota (PT), ANISOTROPUS (PT), Anastasis Grivas (GR), Red Trio (PT), Blaise Siwula (USA), Jeremy Bernstein (USA), Kurt Ralske (USA), among many other artists. 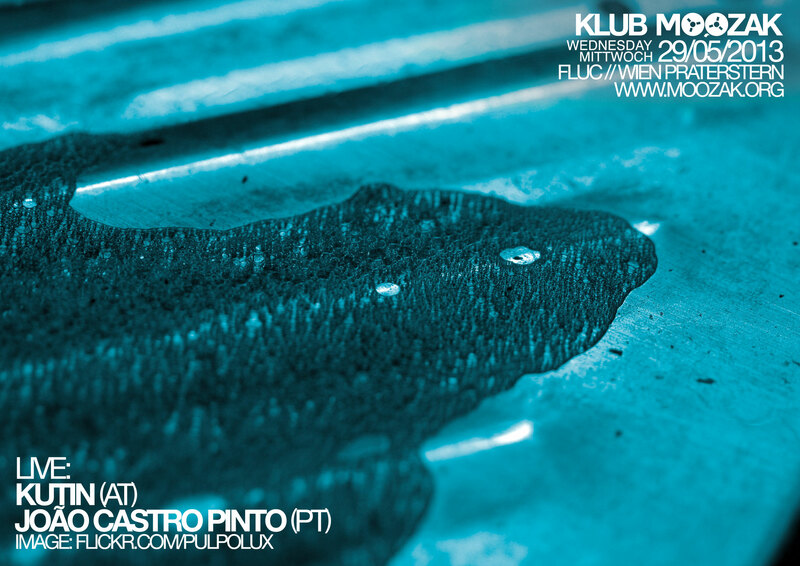 Castro Pinto released several recordings [solo pieces / albums, collaborations and compilations] by: MISO RECORDS (PT), Unfathomless (BE), OtO (Japan), Triple Bath (Greece), Sirr-ecords (PT), Creative Sources Recordings (PT), Grain Of Sound (PT), Variz (PT) and Useless Poorductions (PT). 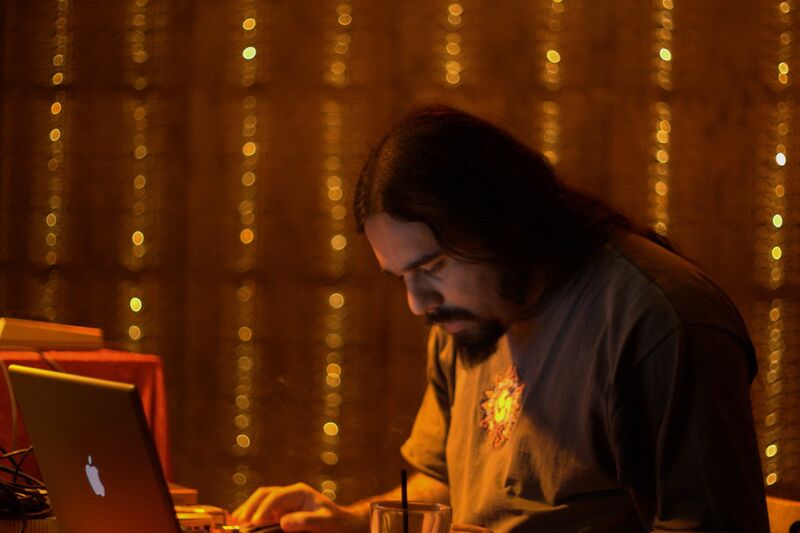 Ph.D. candidate & researcher in Science and Technology of the Arts, specializing in Computer Music at C.I.T.A.R. (Research Center for Science and Technology of the Arts) - U.C.P.. 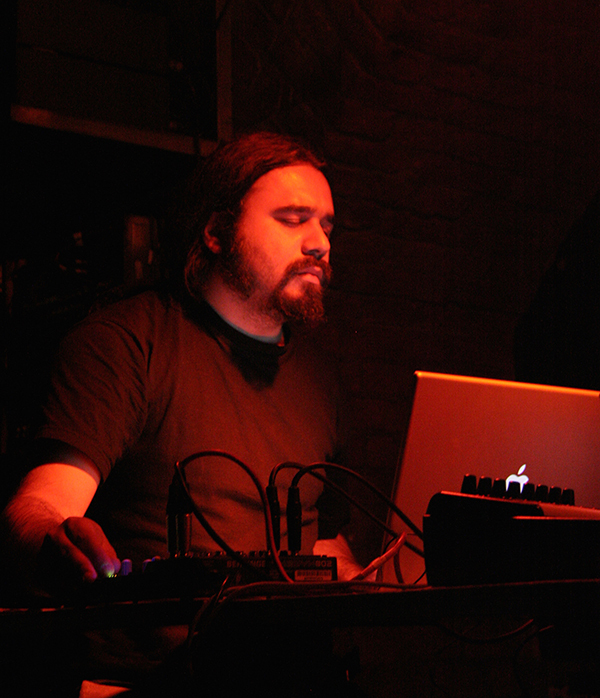 The main focus of his research lies in a phenomenological approach to the Soundscape Composition & interactive composition techniques. Graduated in Philosophy (B.A. 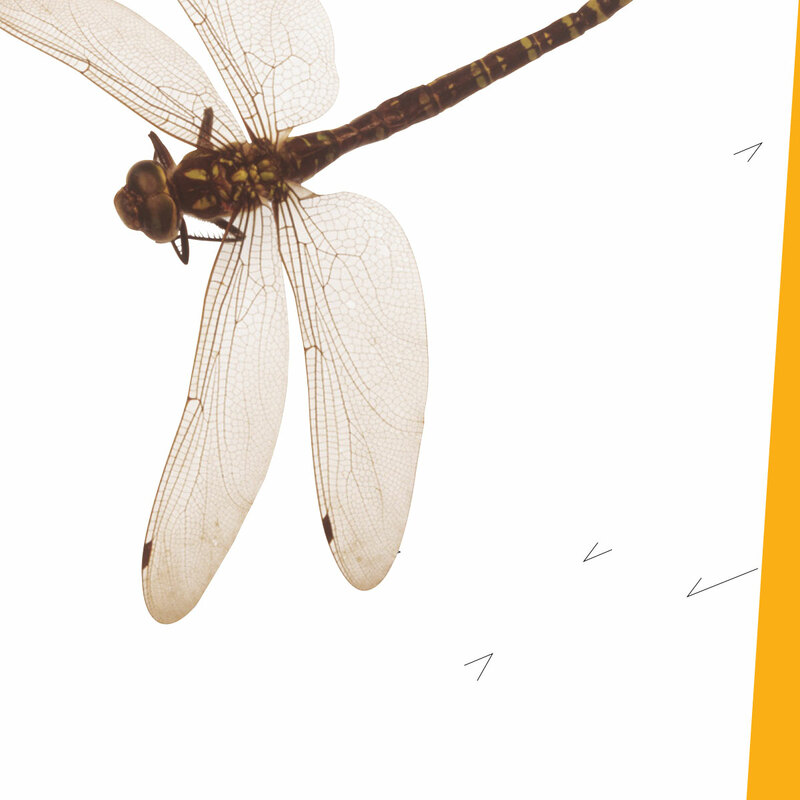 ), by the Faculty of Social and Human Sciences of the New University of Lisbon (F.C.S.H.-U.N.L). First experiences in field recordings (self-taught, using a MiniDisc and microphone) and in electroacoustic composition, first small live experiences. 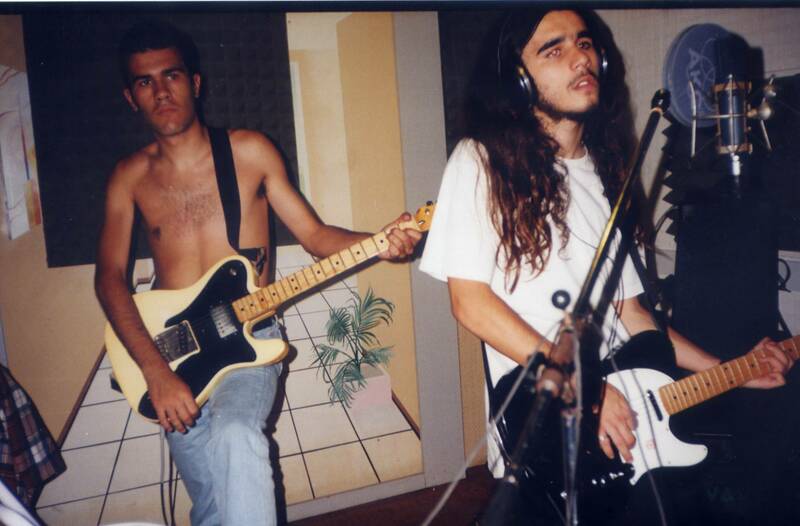 Self-taught studies in classic guitar and participation in several musical projects / bands, giving concerts in the independent rock scene in Lisboa, Portugal. 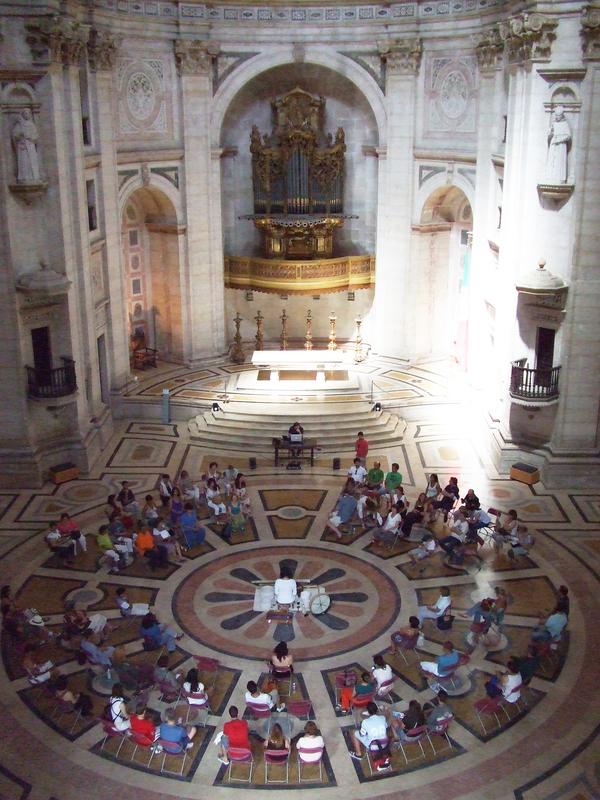 Private classical piano studies in Lisboa, Portugal. 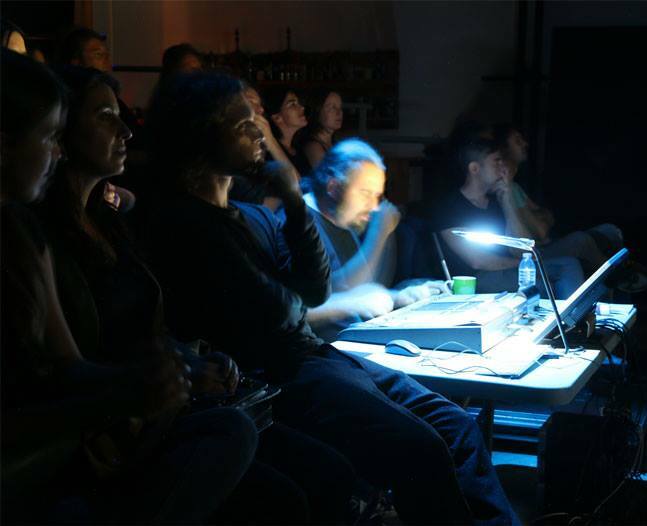 The acousmatic piece "Obsidia - of the invisible sounds or of the audible images", which was a commission from the Música Viva 2017 Festival, and that integrated the application of the Portuguese section of the ISCM - International Society for Contemporary Music, was selected to be performed at ISCM's World Music Days 2019 Festival, which will take place from May 2 – 10 in Tallinn and Tartu, Estonia. Estonian Composers’ Union received over 500 submissions in total, of which 99 works were selected for performance. Portugal will be also represented by 2 other pieces from composers Clotilde Rosa and Hugo Vasco Reis. My piece will be performed on May 5th 2019 at the Estonian Public Broadcasting, Studio 1, in Kreutzwaldi 14, Tallinn. I was commissioned an acousmatic music piece by the Direction of 23rd edition of MÚSICA VIVA FESTIVAL 2017. I composed "OBSIDIA - dos sons invisíveis ou das imagens audíveis". The piece was premiered at MÚSICA VIVA FESTIVAL 2017, on May 26th 2017. "RUGITUS v.01" had its Polish premiere @ 24th AUDIO ART FESTIVAL, in Kraków, Poland. The Concert happened on November 24th, 2016, in Galeria Sztuki Współczesnej Bunkier Sztuki. "RUGITUS v.02" was laureated with INA-GRM's BANC D'ESSAI 2016 INTERNATIONAL ACOUSMATIC MUSIC COMPETITION / CONTEST. The INA-GRM listening committee has auditioned, blindly, the hundred and twenty pieces sent for “Banc d’Essai 2016” and selected 11 pieces. "RUGITUS v.02", my latest piece, was selected and had its French premiere at the Banc d' Essai Concert, on Sunday, October 9th 2016, at the MPAA Saint Germain. I spatialized "RUGITUS" through the historical ACOUSMONIUM. 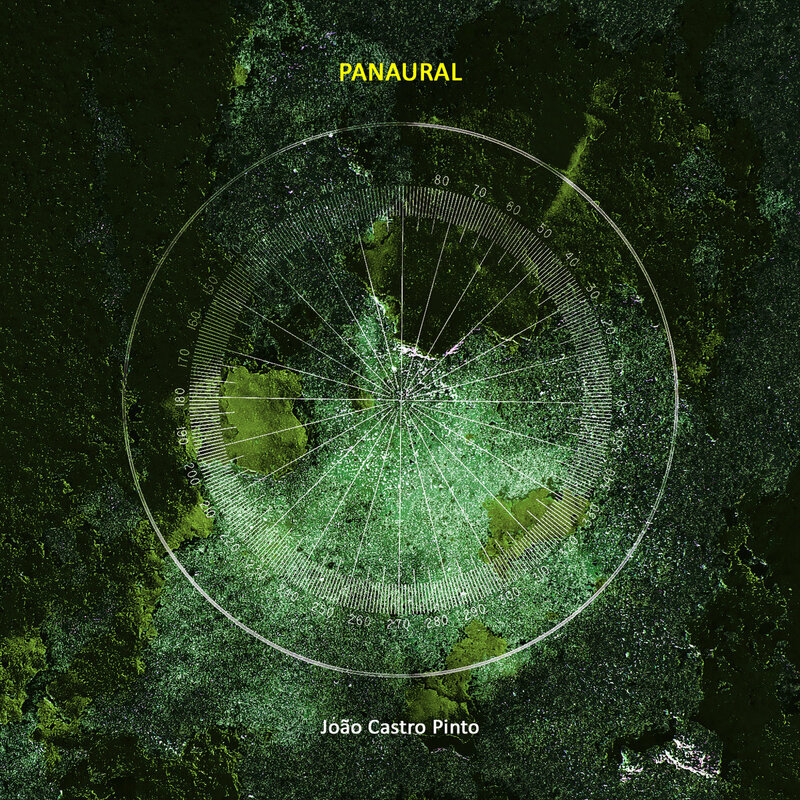 "PAREIDOLIA, or of the dreamt gardens", was spatialized within the program of the MUSLAB 2015 - International Exhibition of Electroacoustic Music, which is took place in four countries: Mexico, Argentina, Brazil and France, and in nine different cities, in a total of 20 concerts, organized by the Mexican Association CaminArt. My piece was played at Centro Cultural Recoleta - Laboratorio de Investigación y Producción Musical in Buenos Aires, Argentina, on November 5th at 18:00. "PAREIDOLIA, or of the dreamt gardens" had its international premiere within the program of the 30th concert of the 41st International Computer Music Conference 2015, with the theme "Looking Back, Looking Forward". The conference happened at the University of North Texas, Denton, USA, from September 25th to October 1st, 2015. My piece was played at the Lyric Theatre, on October 1st 2015, within the programme of the 30th concert of the conference alongside pieces of Annette Vande Gorne and other composers. 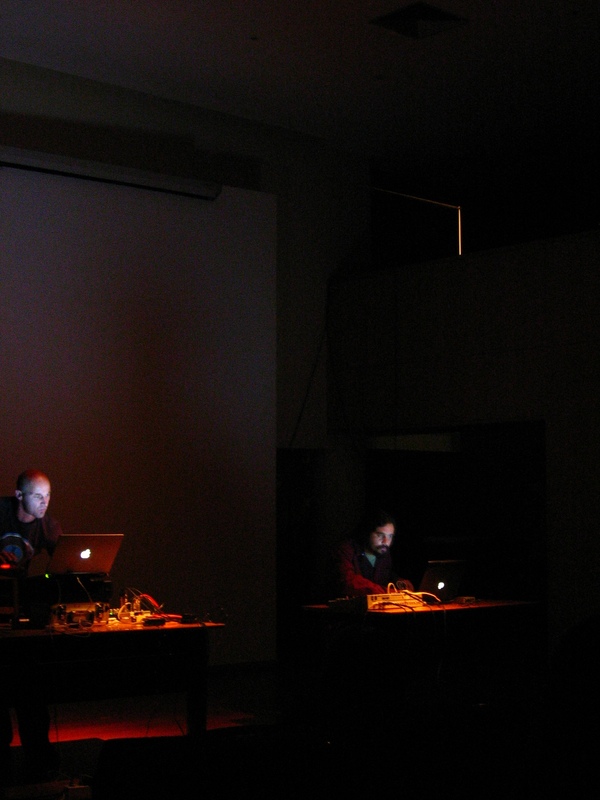 "SIMULACRA - ON DISCRETE SOUNDS MOVEMENTS AND DENSE TEXTURES" (2013), composed at the Electronic Music Studios of the School of Film, Music & Performing Arts of the Faculty of Art, Environment & Technology of LEEDS METROPOLITAN UNIVERSITY, was selected to integrate the lot of 4 portuguese pieces to participate in the PRIX PALMA ARS ACUSTICA 2015. This international competition intends to promote and honour outstanding productions of authors in the world of Ars Acustica: radio art, sound art, media art, text sound compositions, electroacoustic music, electronics, live electronica, etc. Thanks to the partnership between Miso Music Portugal and Antena 2 for the first time Portugal is represented at PRIX PALMA ARS ACUSTICA and thus in 2015 the competition includes works of the following Portuguese composers: Ângela da Ponte, António Ferreira, João Castro Pinto e Miguel Negrão. 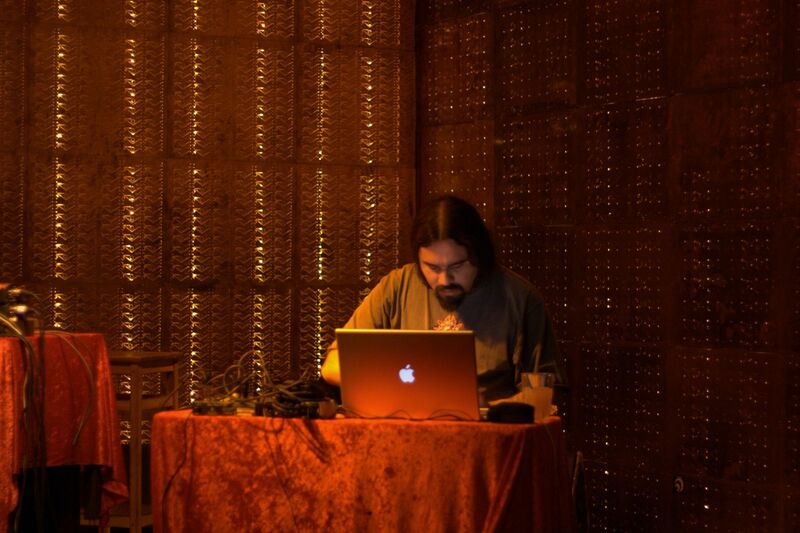 The electroacoutisc 8 channels piece "PAREIDOLIA, or of the dreamt gardens", composed at Miso Music's LEC- Laboratory for Electroacoustic Creation, while I was a composer in residence, was premiered at the 20th edition of MÚSICA VIVA FESTIVAL 2014 - THE STATE OF THE ART. 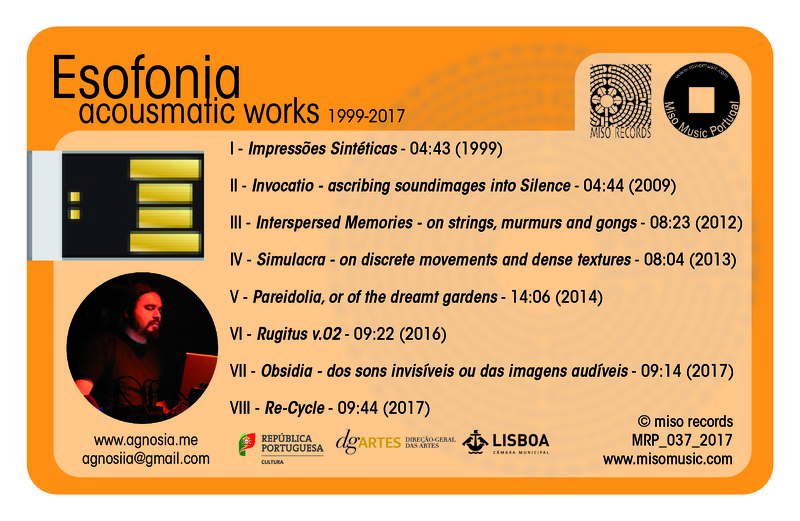 I also spatialized and premiered in Portugal "SIMULACRA - ON DISCRETE SOUNDS MOVEMENTS AND DENSE TEXTURES" in the loudspeaker orchestra. The festival took place between November 21th and 29th of November 2014 at O'Culto da Ajuda, in Lisboa, Portugal. The electroacoutisc 8 channels piece "SIMULACRA - ON DISCRETE SOUNDS MOVEMENTS AND DENSE TEXTURES" was selected and premiered at the 3rd edition of 2013 FEASt (Florida Electro-Acoustic Student) Festival. This festival took place on November 15th & 16th @ the Herbert and Nicole Wertheim Performing Arts Center, in Miami, Florida _ USA. "SIMULACRA" was selected among 130 works of 21 countries, to the final selection of the Destellos Prize 2013, in Argentina. 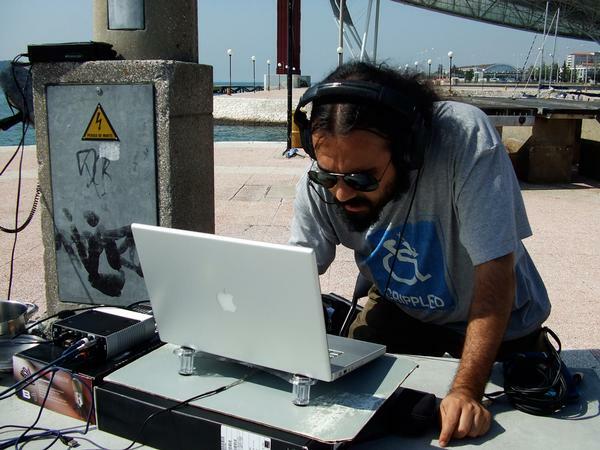 The electroacoustic piece “Water-Dreamt-by-Forest : a Binaural Oneiric-Walk” was premiered at PNEM Sound Art Festival 2011. The piece was selected within an international call to be exhibited within the WoodWalk Experience, a sound walk through the forest where participants are invited to listen to pieces on headphones, while they experience the walk through the woods. This festival took place on November 5th & 6th 2011, in Uden – The Netherlands. The electroacoustic piece: “Invocatio – Ascribing SoundImages into Silence” (2009), inspired by J. W. Goethe’s FAUST, was selected from within an universe of 190 pieces (from 39 countries), by Miso Music’s international call for electroacoustic miniatures to figure on the second edition of its “Sound Walk” project of Música Viva's 2009 Festival. Miso Music selected a total of 35 pieces, hence, mine figured as an absolute premiere on the “Sound Walk” installation. This festival took place in Lisboa, from September 11th to 20th 2009. I didn't process or altered the original audio samples, the only techniques used for the composition were editing and multi-tracking mix. The name of the piece is a parody to John Oswald's concept : Plunderphonics. The piece was premiered on saturday the 27th of September 2008, between 12:00pm to 13:00pm. I was awarded / selected on the national contest "Young Creators 99", in the music area, with an electroacoustic piece entitled "Impressões Sintéticas". Presented Piece - "Water-dreamt-by-forest : a binaural oneiric walk"
Woodwalk Experience Created by: PNEM Sound Art Festival, Uden, The Netherlands. 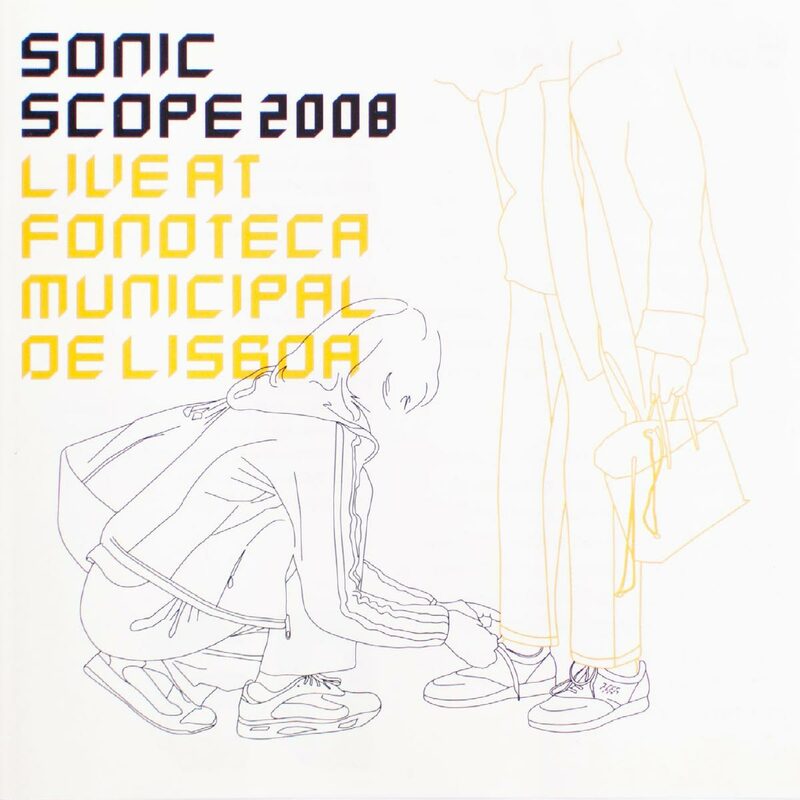 Composed Piece - "Water-dreamt-by-forest : a binaural oneiric walk"
Created by: Miso Music, Música Viva Festival 2009, CCB, Lisboa, Portugal. Commissioned by: Variz label, Lisboa, Portugal. 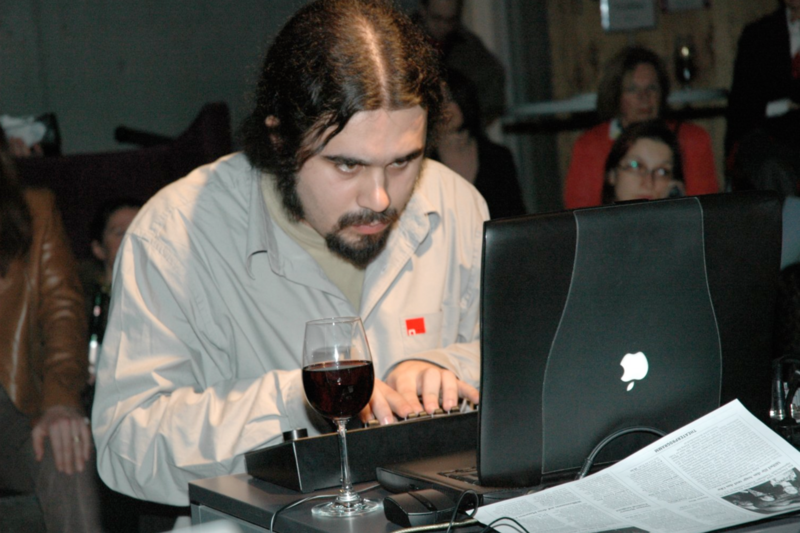 I was a Composer in Residence, at LEC's MISO MUSIC Electronic Music Studios. During this residency I composed new electroaocustic 8 channels works. 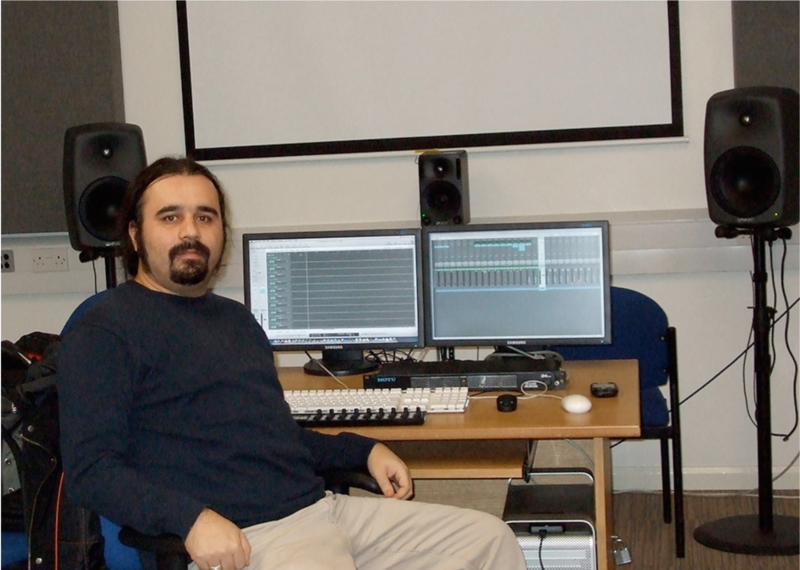 Castro Pinto was invited by the School of Film, Music & Performing Arts of the Faculty of Art, Environment & Technology of LEEDS METROPOLITAN UNIVERSITY to be a Composer in Residence, at its Electronic Music Recording Studios. The residence includes guest lectures, focusing on my work, and also addressing to Soundscape Composition & Electroacoustic / Acousmatic Music theories and practices. 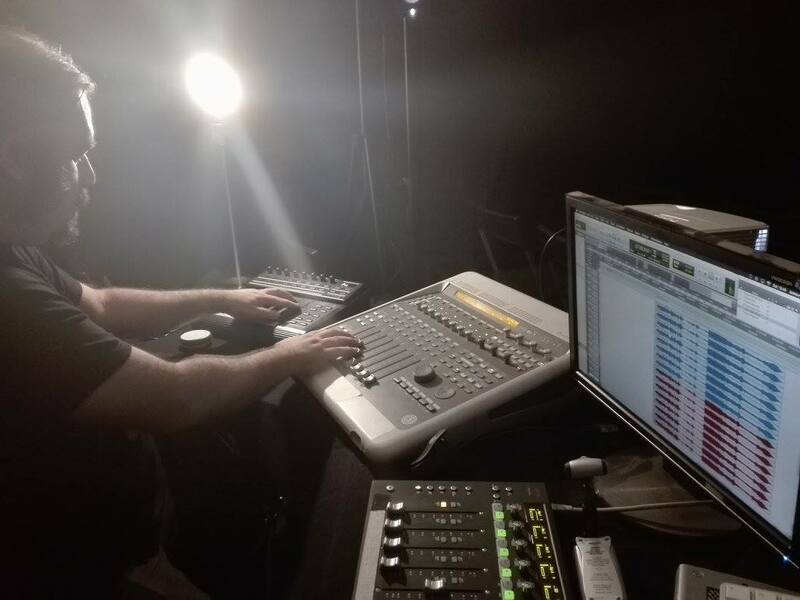 During this residency I composed a new electroacoustic piece and my work was witnessed by University's students, during specific periods of the day, in an initiative named OPEN STUDIO. 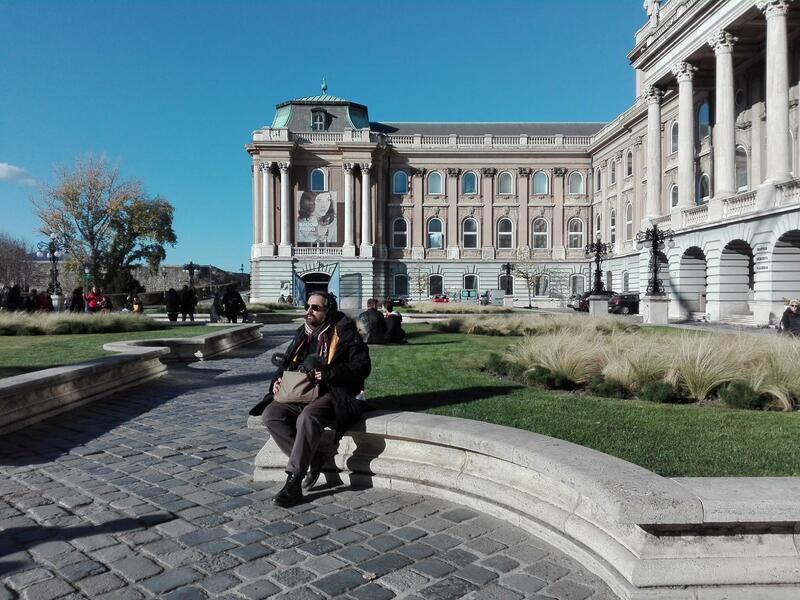 He won a grant for an artistic residence of 3 months in the Fournos Centre for Digital Art (Athens – Greece), with the intermedia project "Cont@mination", in the followup's of the Pépinières Européennes pour Jeunes Artistes international contest/map program. The intermedia performance occured @ Fournos Centre for Digital Culture, on 08.04.2003. LYRIC THEATRE (2015) Denton - Texas - U.S.A. 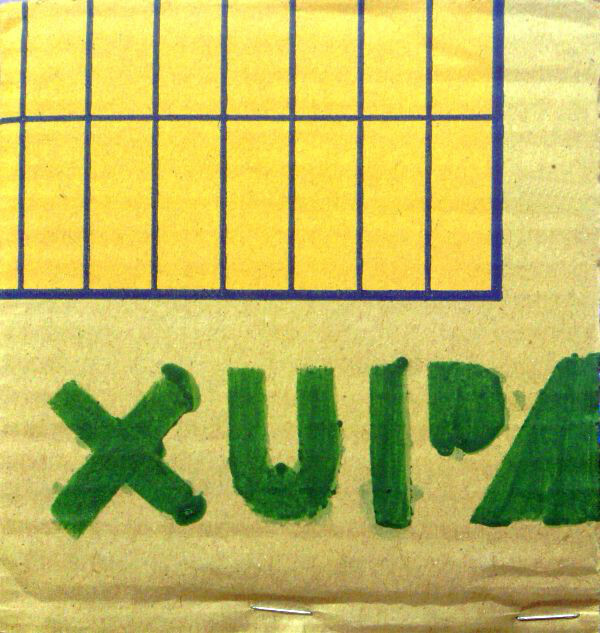 EXPERIMENTAL INTERMEDIA FOUNDATION (2001) N.Y.C. 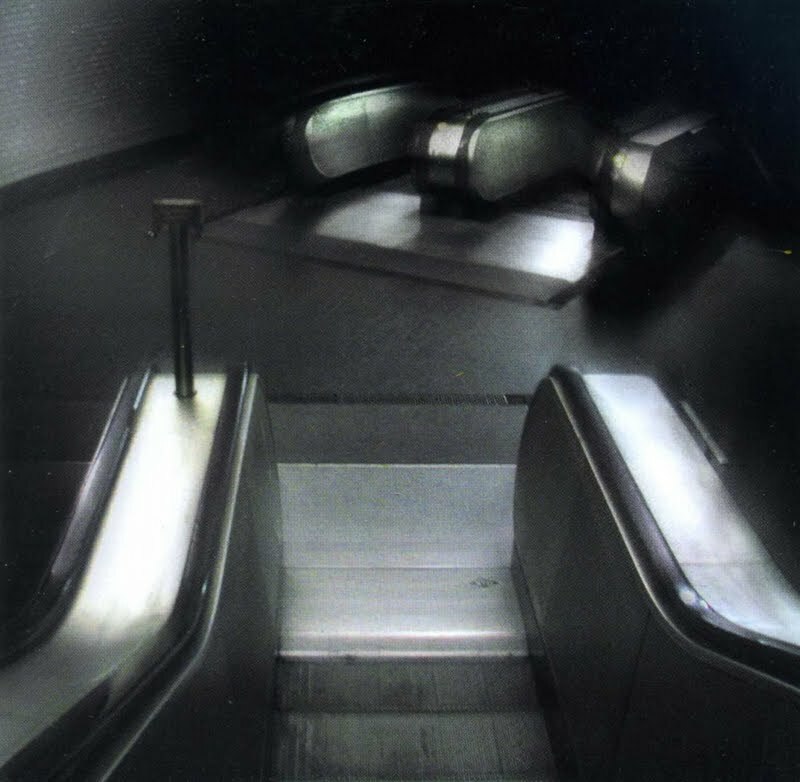 - U.S.A.
BUNKER [SubTonic - The Polar Bear Club] (2001) N.Y.C. - U.S.A.
STREAMING MUSEUM (2012) N.Y.C. - U.S.A. THE UNIVERSITY OF IOWA MUSEUM OF ART (2002) Iowa City - U.S.A.
International Center of the Intermedia Studios of The University of Iowa (2001) IOWA - U.S.A.
K.R.U.I. 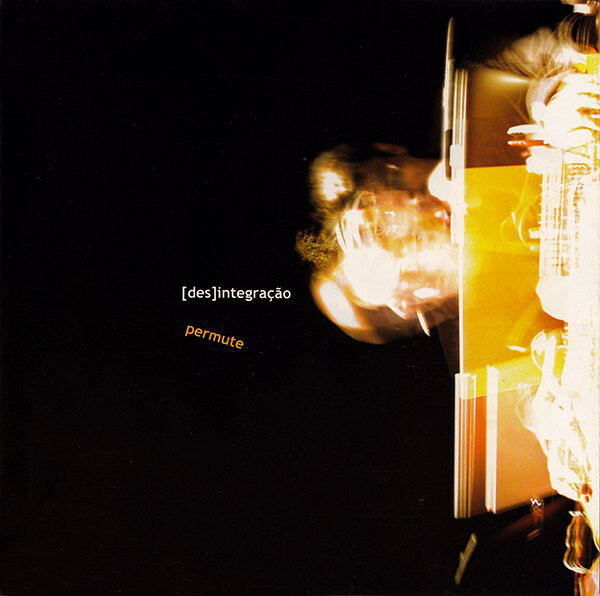 - UNIVERSITY OF IOWA RADIO [Progam on Electroacoustic Music] (2001) Iowa -U.S.A. 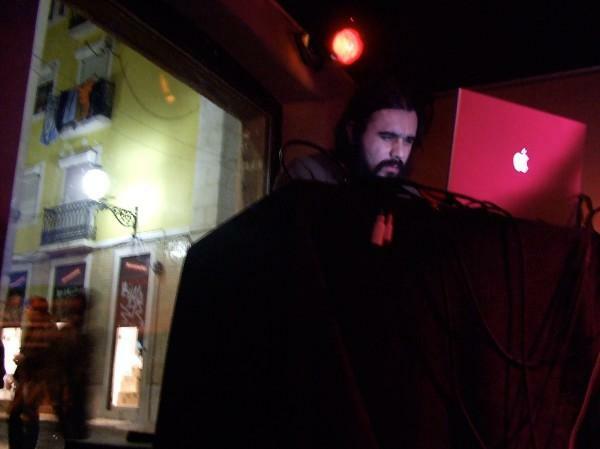 He was commissar & producer of HERTZ_extend#1 – Experimental & Transdisciplinary Art Encounters. This event was an extension of the Hertzoscópio festival and happened between 31th September and 1st October of 2005, in several locations Barcelos county, Portugal. 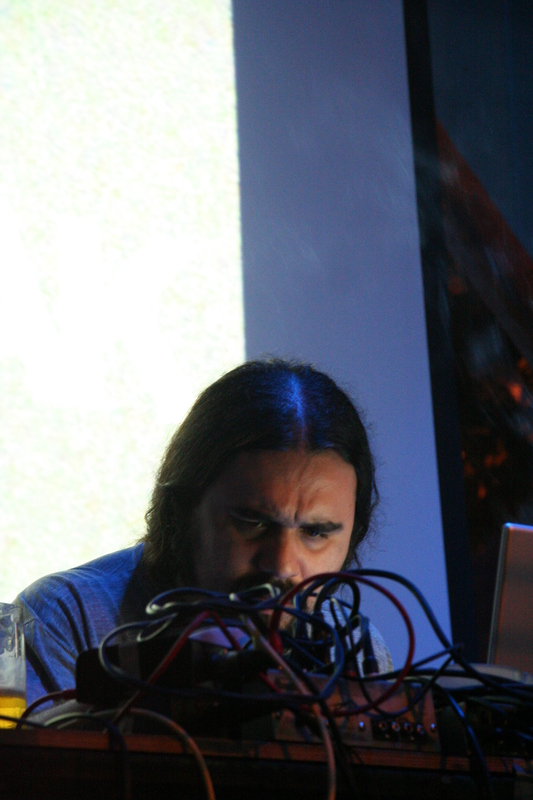 He participated in music projects as the Portuguese laptop collective “[des]integração" an audiovisual collective that deconstructs sound material with a conceptual pre-orientated attitude; The V.G.O – Variable Geometry Orchestra – a contemporary and electroacoustic improvised music orchestra; ANISOTROPUS – an improv electroacoustic quartet ; USINES (an electroacoustic duo with B.Delgado) and 1986!, an electronic duo with Rabu Dhajan. He organized the workshop / conference: ACUSMATA – about the history of experimental music (concrete, electronic and acousmatic) within HERTZ_extend#1 – Experimental & Trans-disciplinary Art Encounters, an event that happened between 31th September and 1st October of 2005, in several locations Barcelos county, Portugal. Total duration of the workshop: 12 hours. 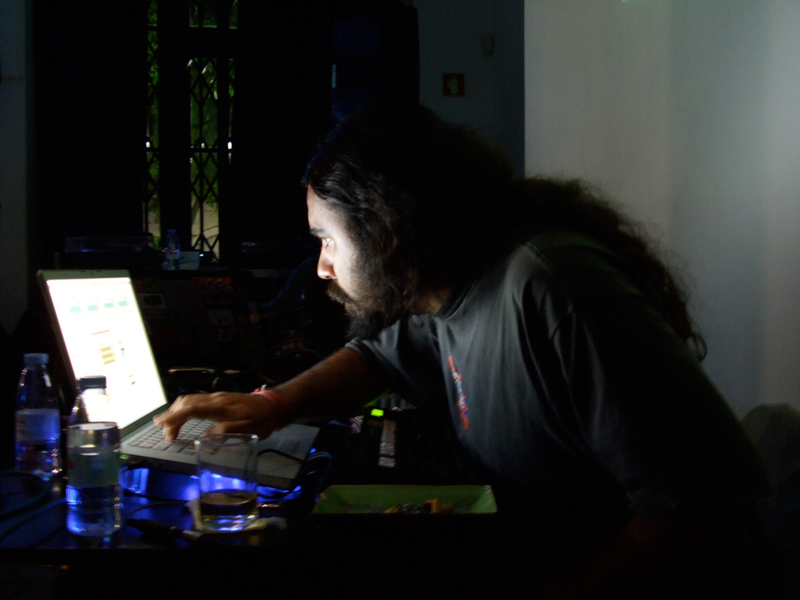 João Castro Pinto is a founding member and ex-Director of the UNDERGROUND RADIO, this radio is part of the Faculty of Letters of the University of Lisbon between 1999-2001. 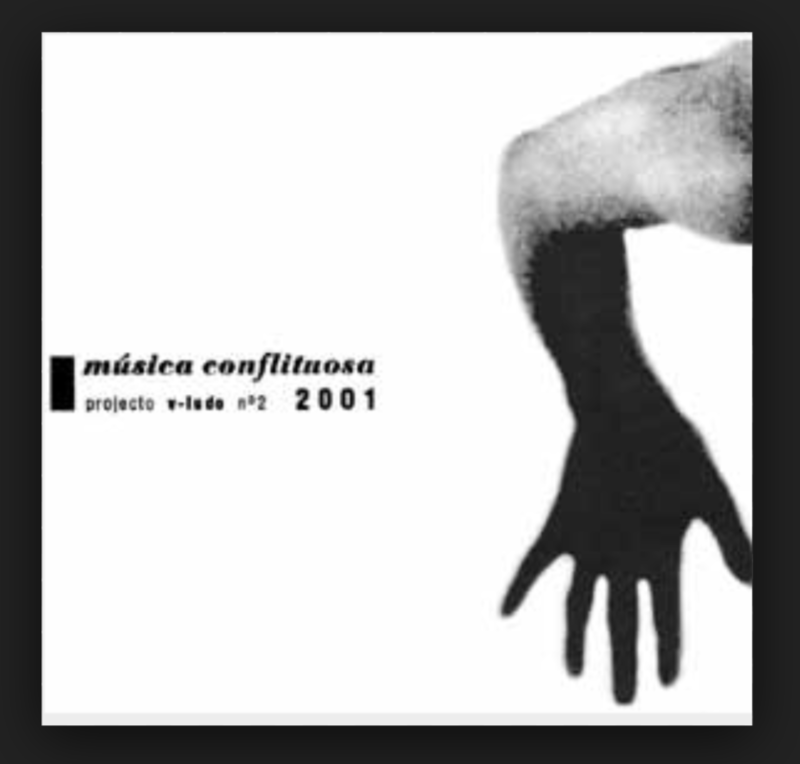 Realization of 64 emissions (of 2 hours), during the school years of 1997/98 & 1998/99, of "ÚLTIMO RECURSO" (the last resort), a radio program created for the UNDERGROUND RADIO, dedicated to the divulgation contemporary music: concrète, electronic & electroacoustic / acousmatic. He wrote a column of reviews of experimental music records (electronic / electroacoustic / acousmatic / field recordings & soundscapes) on the University paper of the Faculty of Letters of the University of Lisbon, between 1997 & 1999. 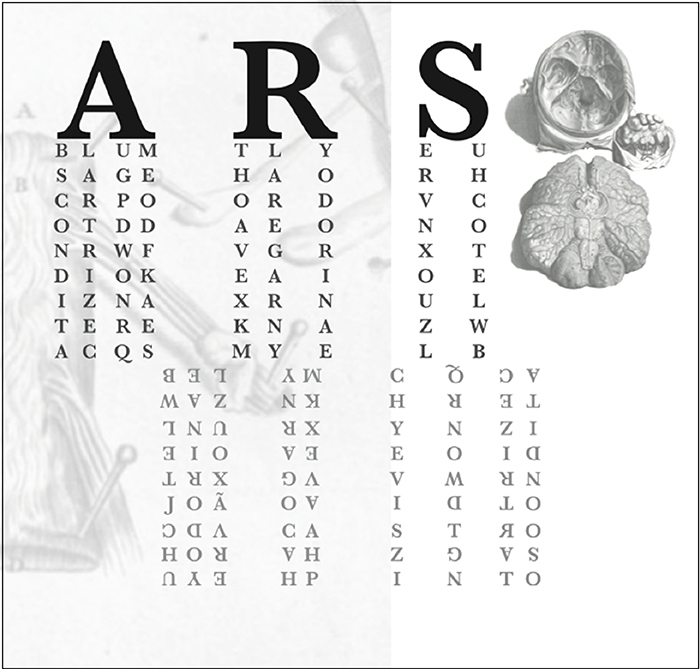 The paper was named: "Os Fazedores de Letras" (the creators of letters), and the column was named "HERTZOSKÓPIO". "Soundscape composition as genre of electroacoustic music - an analysis on the origins, goals and constraints of the soundscape composition concept / praxis ", is a paper that was elected and presented at 1st SYMPOSIUM on ACOUSTIC ECOLOGY 2013 @ The University of Kent, England _ UK. It was published in the proceedings of this symposium. 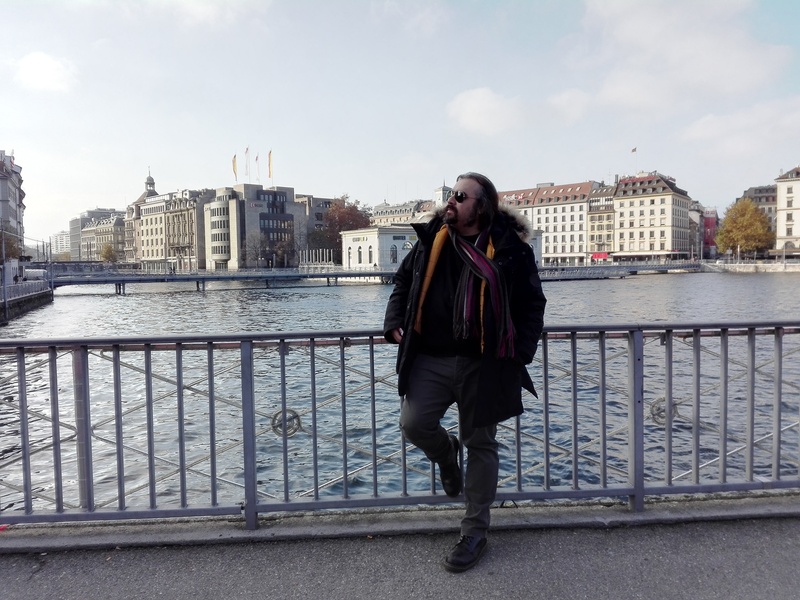 DME# "THE SOUNDSCAPE WE LIVE IN" – presented a conference / paper entitled "Simulation or Representation - indagations and reflections on the soundscape composition concept". 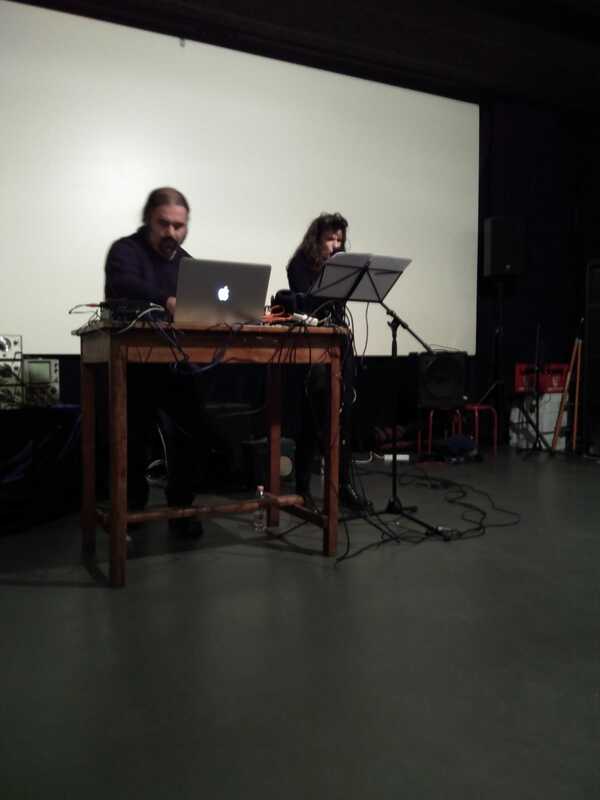 1st SYMPOSIUM on ACOUSTIC ECOLOGY_2013 @ The University of Kent, England _ UK, – presented a conference / paper entitled "Soundscape composition as genre of electroacoustic music - an analysis on the origins, goals and constraints of the soundscape composition concept / praxis ". KEAMS (KOREAN ELECTROACOUSTIC MUSIC SOCIETY) ANNUAL CONFERENCE 2012, – presented a conference entitled: "What is a Soundscape Composition? - Towards a Paradigmatic Definition". 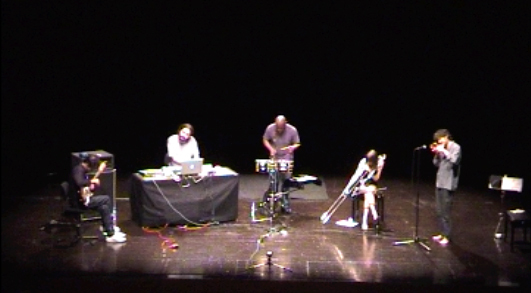 This conference was integrated within a international call for entries, in the context of the 19th SEOUL INTERNATIONAL COMPUTER MUSIC FESTIVAL 2012. ALCULTUR 2005 – invited lecturer within the panel: “Art and Experimentation”, part of the seminar: “From Tradition to Experimentation”. The presented conference was entitled “Experimentation in Art” – subjective considerations for the incentive of the experimental and trans-disciplinary arts in Portugal." MULTIPLE PERCEPTIONS _ 3# conference cycle 2003 - I was invited as lecturer for the event: “Music, abstract 3-D, poetry: UTOPIAS“. 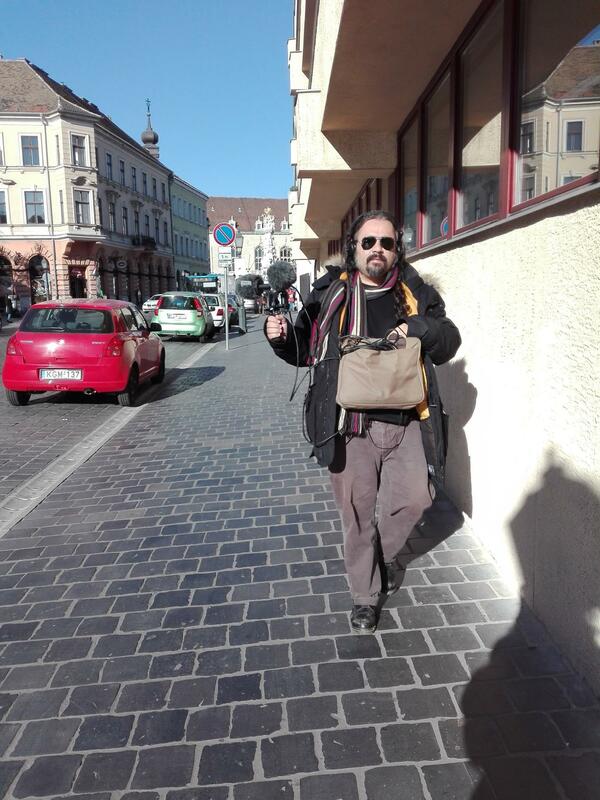 Presented a conference entitled: “SOUND ART– a modus operandi for the deconstruction of the ego”. One Mutant Minute - Recreating ALVA Noto (aka Carsten Nicolai) by four 4 national sound artists.